A scheme backed by the World Bank aims to resettle 10,000 residents from the coast of Saint-Louis. SAINT-LOUIS, Senegal, April 3 (Thomson Reuters Foundation) - "Mum, mum, get up - the water's here!" Fatou Ndiaye's children shook her awake in the night, as waves crashed against their house on the coast of Saint-Louis, a city in northern Senegal. They were used to sleeping with the sound of the ocean a few feet away - but this time Ndiaye stretched out her hand and felt water rising inside the room. They fled. Two weeks later, she told the story standing by a pile of rubble where her childhood home used to be. The disaster surprised no one in this crowded fishing neighbourhood. Since 2016, two or three times a year, the ocean has swelled and knocked another row of houses off the coast. Saint-Louis, a city that spans a thin peninsula between the Senegal River and the Atlantic Ocean, is particularly vulnerable to the rising sea levels and urban crowding that are putting pressure on West Africa's coast. With damage now unavoidable, Senegal's government and the World Bank are mobilising to resettle nearly 10,000 people from the city's riskiest zone. The effort reveals the challenges other countries will also face as their shorelines retreat due to a combination of higher seas linked to global warming and coastal erosion driven by natural processes and manmade factors, such as poorly planned infrastructure and sand mining. In Saint-Louis' dirt streets, crisscrossed with laundry lines and filled with sheep, residents described their predicament. "They took people to Khar Yalla, but Khar Yalla is not good," said Ndiaye, referring to a temporary relocation site about 6 km (4 miles) inland that now houses about 1,000 people. Not wanting to go to a place where most people are living in tents without electricity or running water, she instead moved in with neighbours whose house was still standing - but could be the next to go. Other residents near the water's edge said they were afraid and ready to leave, but had not received help. "For two years now, the water has been rising. It doesn't recede," said Soda Mbengue, eight months pregnant, walking through her shell of a home. "The government told us they'd come here to help us, and give us houses, but up until today we've seen nothing," she said. Water seeps into her bedroom all the time. Tourists still stroll through art galleries in the centre of Saint-Louis, the former French capital of colonial West Africa, but it is in the poor neighbourhoods, just across a short bridge, that buildings are disappearing into the ocean. A school and a large mosque have already succumbed to the waves, with pupils redistributed to other packed classrooms. Khalifa Faye, 21, was among the first to lose his home to a storm, two years ago. After living in a tent for a few months, he and his family were given a small concrete house at the relocation site in Khar Yalla. "In the beginning it was bad. We didn't know this place," said Faye, standing in a yard where his aunts made couscous and children played. Now he is happy, he said, though he wishes they had plumbing. But other residents, especially those newly displaced, were less content. The temporary settlement sits on the side of a highway, surrounded by barren fields. Tauty Fall lifted the flap of a blue canvas tent to reveal a small space where she lives with her husband, their five children, and another family. "Life is not good here," she said. Almost all the men earn a living from fishing and must now commute to the sea, said their wives. They take a bus for 150 CFA francs ($0.30) but in the off-hours they have to take expensive taxis. Deputy Mayor Balla Gueye said the people shifted to Khar Yalla are living in "precarious, very difficult conditions". The city is working to provide them with better temporary lodging, such as mobile homes, before the permanent relocation scheme gets underway, he added. In the meantime, the government is ordering more tents. Another 59 families lost their homes in the most recent storm at the end of February, and some don't even have a canvas roof yet, Gueye said. The World Bank project in Saint-Louis aims to relocate about 10,000 people at a cost of $30 million. It covers residents within 20 metres of the waterline on a 3.5 km stretch of shore, said the deputy mayor. But erosion threatens thousands of kilometres of coast from Mauritania to Gabon. About 105 million people live in West Africa's coastal areas, which generate 56 percent of the region's gross domestic product, according to the World Bank. In some places, the land is receding as much as 10 metres a year, it said. To deal with the larger problem, the bank has launched a West Africa Coastal Areas Management Program (WACA), with a first funding round of about $220 million due to be approved this month. The money will be used to build sea walls and other defences, plant vegetation along shores and support communities, said Benoit Bosquet, WACA manager at the World Bank. But it will not be enough to move everyone out of harm's way. 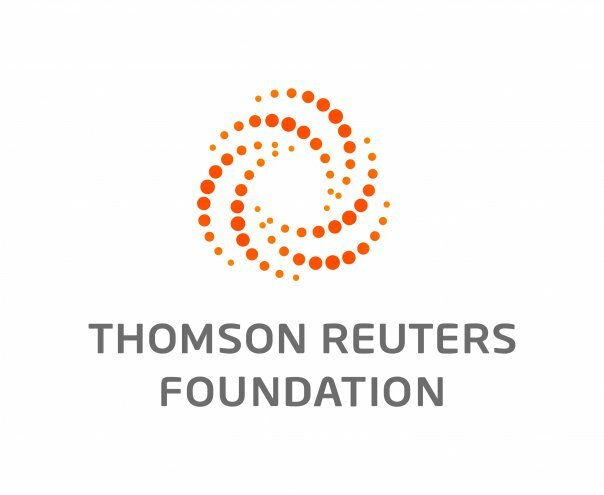 "When it comes to relocation, it's very tricky," Bosquet told the Thomson Reuters Foundation. "It's not clear that we will have the time or money sufficient to do relocation everywhere." Saint-Louis has identified a few potential plots where the 10,000 people at risk or already displaced could move, and is negotiating with neighbouring communes for the land, said Ousmane Sow, director of the regional development agency. In the best-case scenario, houses could be built and people relocated within two years, he said. "We are counting on the state," said Faye in Khar Yalla - a sentiment echoed by others who have already seen their homes disappear. But Sow anticipates challenges in resettling people the water has yet to reach. "We will have to convince them," he said. One of the potential relocation sites is close to Saint-Louis, but the city may not be able to seal a deal for the land, he said. Another option is about 30 km away. It is close to the sea, so fisherman would not have to travel too far. But it is only a matter of time - perhaps several decades - before the water arrives there too, Sow said.